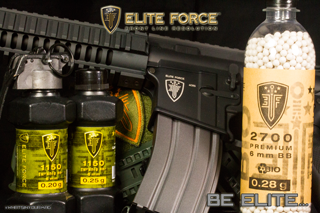 The EliteForce Pro Staff are a select group of highly active airsoft experts that you may see at your local airsoft events. Get tips, watch clips, and follow some of the activities of the Pro Staff by viewing their links below. Prior military: Hospital Corpsman in the U.S. Navy, 1 tour to Iraq, served from 2006 to 2008 Active Duty, 2008-2010 Reserves. 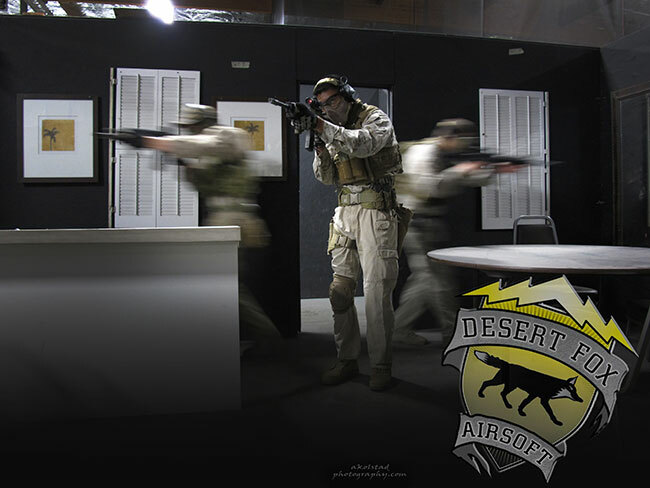 Current job: Owner of DesertFox Airsoft LLC, Director of Airsoft Operations for Giant Sportz and professional airsoft player. I started playing airsoft late 2002 with a bunch of friends. We all had cheap battery powered mini electric guns, the kind you fill with .12g bb’s. We would play in our buddies backyard using random pieces of lawn furniture as cover. I didn’t get an AEG until Spring 2003 only then did we start playing outdoors in open fields. This was back before organized fields existed. Sometime during 2003 my parents bought some land out by Historic Route 66 here in Southern California. They let me build some buildings on it for airsoft and from that point I haven’t stopped playing airsoft.Fast forward to 2006, I out grew airsoft and felt the call to service so I joined the U.S. Navy. After boot camp and a whole bunch of training I was shipped out to Iraq early 2007. My unit operated out of Al Asad Air Base in Al Anbar province, Iraq. I primarily did security missions with Navy and Marine Explosive Ordinance Disposal (EOD) units. In 2008 I decided to leave active duty and come back home to Southern California. When I returned I went back to airsofting on my parent’s land, but I took the money I had earned from Iraq and started it as a business.Since then I’ve been blessed with the opportunity work in the airsoft industry full time. Many of you already know me but for those that don’t, my name is John “JP” Pilkington. 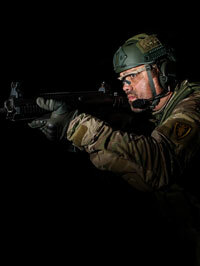 I operate OKAirsoft.net which has served the Oklahoma community since 2008 as the main hub for all things airsoft and milsim related.I have been involved in airsoft and milsim since 2007 in the midwest hosting and attending various OPs and events in Oklahoma, Texas, Missouri and Arkansas. I have helped plan and administer events ranging from 50 to 600+ players. I have recently partnered up in a new Milsim venture – American MilSim. We have put together a great team of guys that you may or may not already know. Myself, Frosty (Oklahoma) and Biglar (Louisiana). 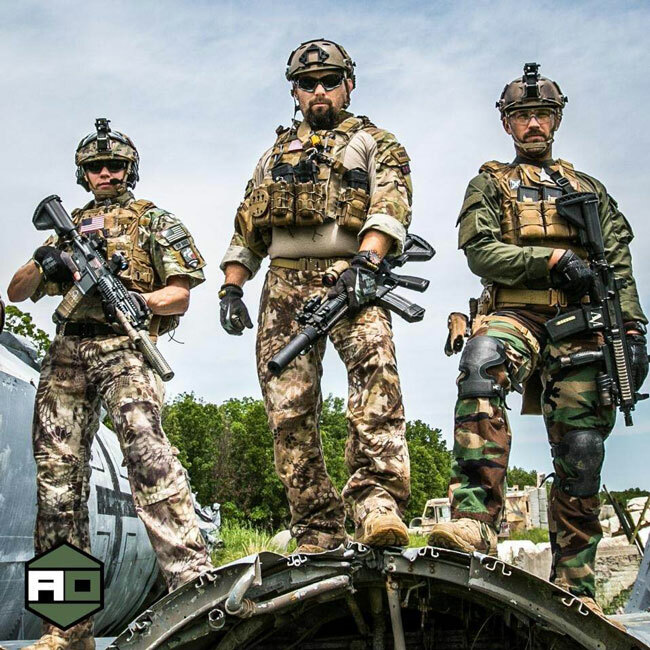 Combined we bring nearly 25 years of airsoft and milsim experience to the table along with sponsors and vendors such as: Kastway Airsoft, Elite Force, Voodoo Tactical, HSGI, Tulsa Airsoft & Outdoor Sports, Impact Tactical and Bunker Boxes.We have big plans for American MilSim so keep an eye out for up and coming events from AMS! I started airsofting in 2006 and formed MAKO Team within the same year. I took to it quick by buying gear and attending small field games in the Kansas City area. My first gun was a cheapo AEG off the shelf from a sporting goods store. We started hosting free games on our private field we dubbed “The Farm” and it grew from there.I started attending national Ops in 2009 and found my love for milsim. In 2010, hosted our first Milsim known as Midnight Harvest, a night operation. In 2011 Elite Force was a sponsor for Midnight Harvest II and our relationship built from there. 2011 also kicked off MAKO-TV on YouTube. MAKO-TV has brought forth several opportunities to travel and meet awesome people in the industry.2012 was huge for myself and MAKO in general. We completed the year having traveled 12,000 miles in support of airsoft and milsim. Hit all of American Milsim’s operations as well as SHOT Show. 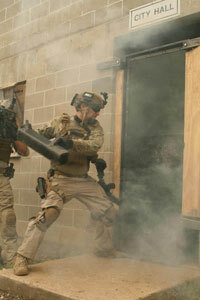 We opened the MAKO Advanced Combat Center in Lawson, MO and had our Grand Opening in April of 2013. Still waiting to for the opportunity to work airsoft full time. Perhaps one day it will come. 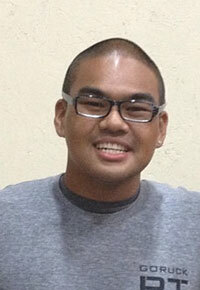 Arwin “MilSimJunkie” S got his start in airsoft as a hobby as a way of passing the time while in college. 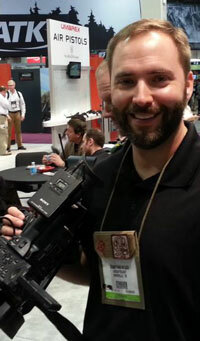 During the week he would search airsoft related news and see how he could get more involved in the sport.In 2009 he started recording his gameplay footage for friends and family. Shortly after, popularity grew and in 2010 the MilSimJunkie channel was born. In the early days of his airsoft carrier he enjoy milsim operations, hence the namesake. However, he is possibly best known for his close quarter combat gameplay footage offer viewers high paced airsoft action. 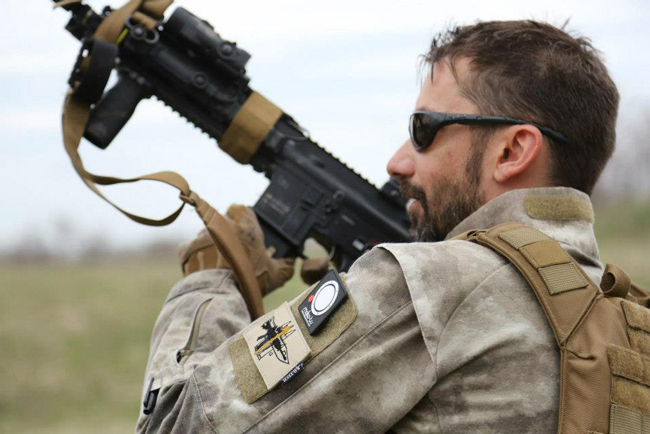 Today he is a figure in the airsoft community that best represents the shooting sports: fun, friendly, safe, and awesome. Airsoftology started as a humble garage podcast in 2008 with a few friends talking about their airsoft experiences. Since then, Airsoftology has grown into an international internet radio show, a YouTube Channel covering everything from professionally produced product and gear reviews, to how-to’s, tech advice and more.The recipe for Airsoftology is simple: Create shows that airsoft players want to see , host all of the programming with avid airsofters (not hired actors), toss in a dash of humor, and produce each segment to “pro” standards.About Jonathan Since 2002, Jonathan’s been opening mechboxes and tinkering with AEGs, and has owned countless airsoft guns from just about every major manufacturer out there. During this time he spent countless hours searched the far corners of the internet for all of the airsoft news he could consume. It didn’t take long before he realized that it was a full time job digging for the best nuggets of airsoft info in a vast ocean of information.He’s an avid airsoft tech, always tweaking his AEGs to squeeze the last drop of performance from them… but mechbox teching isn’t his only obsession. Jonathan is also a self-proclaimed Geardo and has unquenchable appetite for all things tactical, so he’s always looking for the next piece of “cool guy” gear to test and review for the players. Dave began playing competitive paintball over 15 years ago. In 2001, his brother-in-law introduced him to airsoft and a TM MP5 from Japan. Since then, Dave’s bought and sold countless guns, reads every related material known to man written about the sport, blogs and is co-captain of a team called Level 10 (formally called Taskforce 20). Dave considers himself a “gun guy” rather than a “gear whore”. He frankly has so much thirst to gain as much knowledge as possible that he has become a self taught gun technician…so much so that he receives calls from players regularly to repair or upgrade their guns. 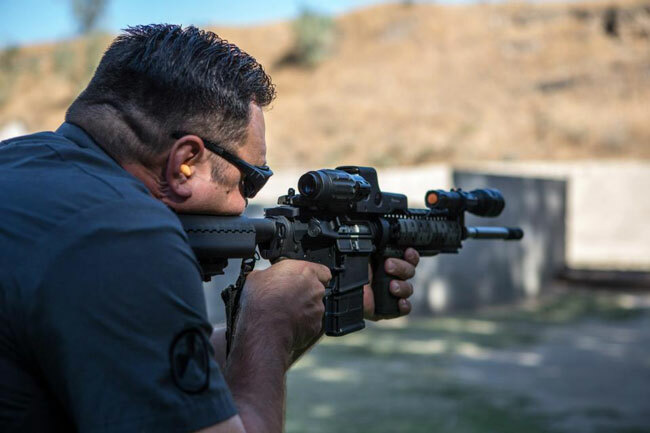 Based out of Central California, Dave is fortunate to be within reasonable driving distance of all forms of gaming, ranging from pure CQB at CQB City, to MOUT style play at Fort Ord, or open field play found at Hill 559. He feels it’s best to not specialize in just one style of play, allowing the game to be fresh.Aside from airsoft, Dave is an avid photographer. 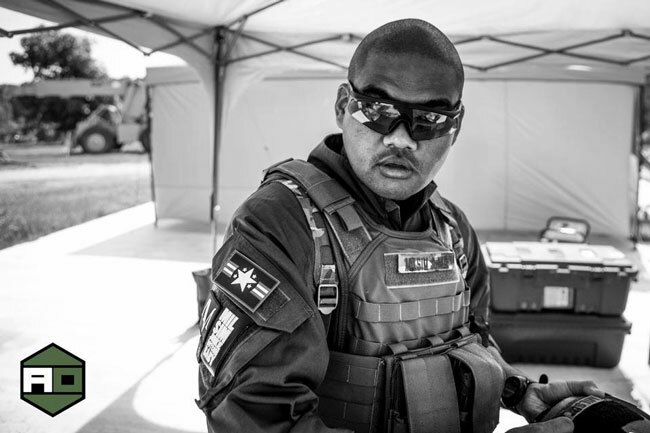 You may not recognize him, but his photos are widely circulated within the airsoft community. He thinks of himself as somewhat of a double threat in the field because one way or another(gun or camera), he’s going to shoot you! 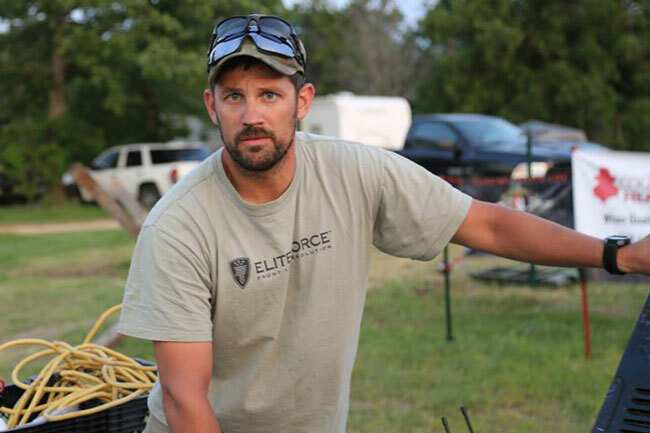 Dave currently runs an Elite Force 416cqb as his primary and Elite Force Tac 1911 as a secondary. 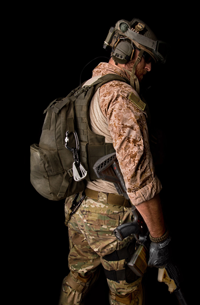 He also has an amazing, supportive wife and two beautiful daughters who support his airsoft endeavors. BIO: I come from a long history in Finance and Commerical Banking for the past 17 years. I was introduced to airsoft in 2001 and started Kastway Airsoft in 2003. After about 10 years in operation, I left the banking world to run Kastway Airsoft fulltime. It has been extremely busy over the past year with moving our operation from SW Oklahoma to Dallas, TX where I reside. My first AEG was an M4 SPC and soon transitioned to the SPR. I have always used the M4 platform ranging from various brands but my favorite is my current primary the Elite Force HK416 CQB and C models. The reliability and durability are second to none. I have been fortunate to have traveled all over the country to attend events. I have met some great people in all corners of the country and enjoy spending weekends visiting.Longtime friends Frosty, JP and Biglar of American Milsim and I have a long history on and off the field. 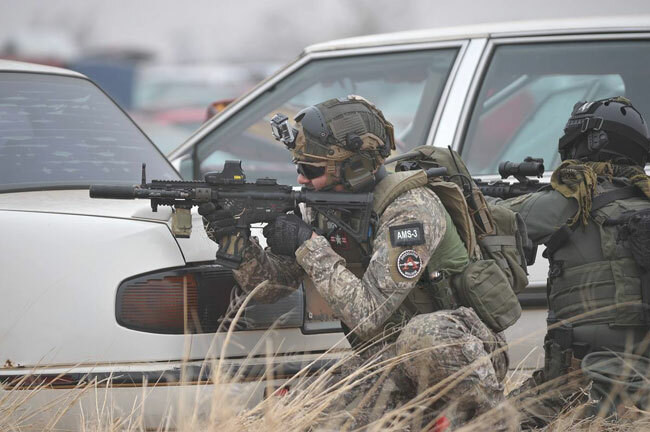 I am honored to have joined the American Milsim team in 2013 to make the Big Four. 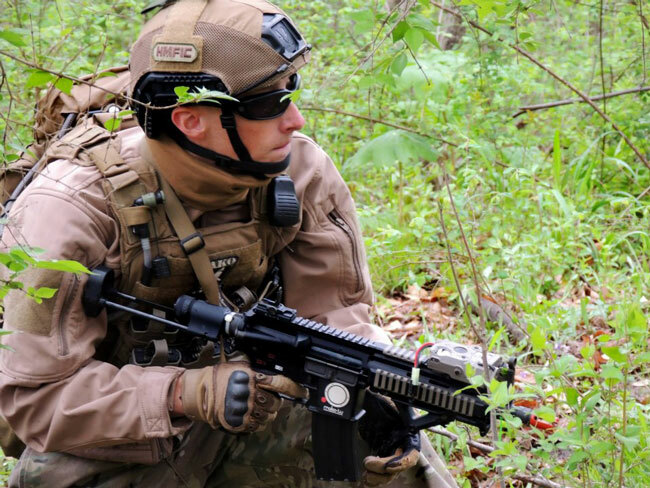 We have a great team with a long airsoft history that will take the Milsim experience to the next level. Let’s see…how did it all begin? In 2004, I spent around a year playing paintball, but it never quite scratched that itch. Then with the help of my childhood friend Amos, I discovered airsoft/milsim. Between the gear and realism, I was hooked! 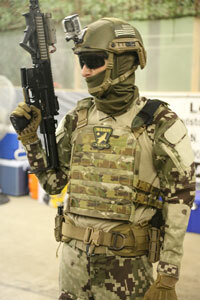 Oh, did I mention I love tactical gear? No joke, I changed kit three times before I ever played my first game. I cut my teeth on a CQB course in a Tulsa basement. I carried an S-system, MP5k and a Glock. Oh yeah, I had to be ready for anything you know! (I still have the S-system) After that, I moved to outdoor play and the rest is history. As a refrigeration mechanic by day (that’s where the name Frosty comes from) and a couch potato by night, I squeeze in some time to “DO WORK” with some of the greatest guys in the industry, namely the crew at AMS. I work with Rick, JP and Bo to bring players the best milsim experience possible. When I’m not planning events or working on Direct Action Missions (DAMs), you can find me riding ATVs in the mountains and camping. I have a ‘69 Firebird that I’m rebuilding. I recently found a Pontiac 455 engine and I hope to start tearing it down soon. I am blessed to be adopted by Elite Force as pro staff and look forward to the many adventures to come with my good friends and teammates on the pro staff.My likes are (of course) long walks on the beach, cuddly puppy dogs lol and the sounds of a cycling AEG on full-auto. My dislikes are writing about myself and never know what to say so I think I will add a period here. Sup…BigSilva here…Guess I would have to say that I am the OLDEST part of this group and proud of it! LOL. At least I catch all the grief from all these younger punks about it but it never seems to get old. It’s ok because 99.99% of the time I get the last laugh anyway due to my mental superiority. I come from a long and distinguished line of careers before airsoft. From playing professional golf for 7 years to owning my own Video game store all the way to Medical devices its been quite a ride and I look forward to what the future holds. Yes ladies… I am married to my lovely wife Erin and have two great kids Parker and Stratton and we currently reside in Lake Charles, LA. With that being said as of today I am lucky enough to be a part owner of American Milsim. I run the marketing department amongst a few other things because other than that I am pretty much useless. We have a great group of guys that really work hard to offer a great service to those that love to get out there and sling em! Ever since Tom Harris was a little boy, he knew he wanted to become something great when he grew up. He may not have consciously knew that “something” was becoming a part of the Elite Force Pro Staff, but deep down he knew it had to be something on that level. Fast forward to 2006, Tom contracted the virus known as Airsoft, which would inevitably send him down the eventual path to Pro Staff.Along the way, Tom joined a competitive team called Taskforce20, which evolved into what is now Level 10 Airsoft where he not only learned a lot about Airsoft and became a better player, but also made some great friends for life as well. 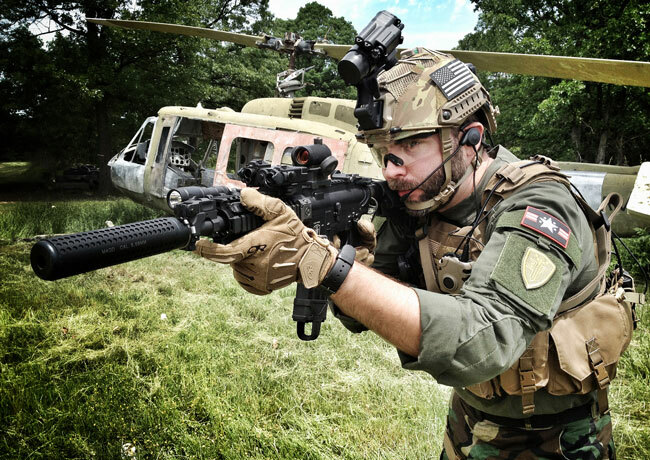 In his spare time, Tom founded a news, reviews, info & media website for Airsoft stuff called www.Airsoft-Obsessed.com which he still continues to operate, along with the help & support of his very good friend & fellow Pro Staffer, Dave Baks. In 2010, Tom also began writing the Pyramyd Airsoft Blog for Pyramyd Air, where he won the “Best Airsoft Blog” category in the Popular Airsoft ‘Players’ Choice Awards for the last three years in a row. With more time and hard work, new opportunities have arisen with Tom now being one of the Contributing Editors for Airsoft Insider Magazine, along with fellow Pro Staffer, Jonathan Higgs. 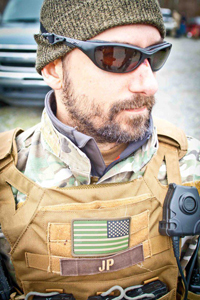 When he’s not dining at the local Chipotle restaurant, writing stuff about Airsoft, or chasing his two boys around the house, Tom actually does get out and play Airsoft. 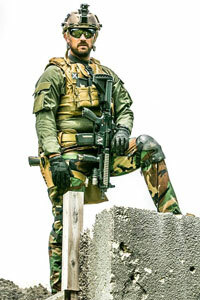 His primary gun is an Elite Force HK417 AEG and his secondary is the beastly Elite Force 1911 Tac. Tom has a hard time selecting just one aspect of Airsoft that he enjoys the most. He loves the guns. He loves the gear. He loves to look good while wearing that gear & holding the guns in his “NBA Hands.” If the planets align correctly, you just might run into Tom at one of his favorite Southern California Airsoft fields where he has been known to pull the Airsoft trigger from time to time. 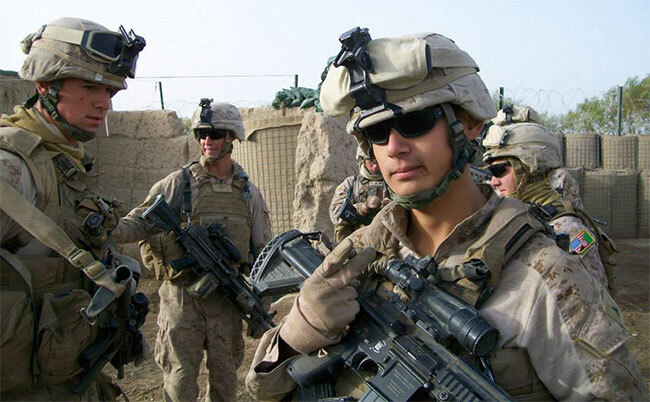 Prior Military serving 4 years in the United States Marine Corps as an 0311 Rifleman with 1st Light Armored Reconnaissance Battalion out of Camp Pendleton, California. 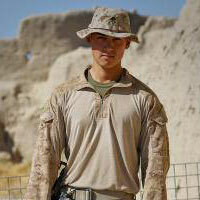 Chris deployed twice to the Helmand Province, Afghanistan in 2010 and 2011-12. In 2013 he EASed out of the Marine Corps with an Honorable Discharge. Upon returning from his 1st deployment fellow Marines convinced Chris to give Airsoft a try, this ultimately sparked a passion that has grown exponentially.